Wrinkles and fine lines are natural as you age, but that doesn’t mean you have to live with them. At L-Aesthetics & Longevity, in Bee Cave, Texas, Billy Ledbetter, MD, provides microneedling treatments using the FDA-cleared SkinPen® device, which stimulates collagen production to reduce the appearance of fine lines, wrinkles, and acne scarring. Call or make an appointment online today to learn how microneedling can give you a glowing, youthful complexion. Microneedling is a skin rejuvenation treatment that triggers your body’s regenerative ability to create new collagen cells by creating micro-injuries in your skin. It’s suitable for every skin type and tone. Dr. Ledbetter uses the FDA-cleared SkinPen device to make hundreds of tiny pinpricks in your skin. Your body reacts to the injuries by flooding your skin with cytokines and growth factors. The micro-injuries heal almost instantly, but they still trigger your skin’s healing response to generate new collagen and elastin fibers that plump your skin from within. In addition to stimulating your natural healing abilities, microneedling also helps your skin better absorb nutrient-rich serums, making your skincare routine more effective. What skin imperfections does microneedling reduce? Dr. Ledbetter uses microneedling treatments to improve your complexion and reduce the appearance of fine lines, wrinkles, and acne scarring. * The procedure can also improve the texture of your skin, minimizing rough patches and large pores. You can also use microneedling preventively before your fine lines begin to show. What should I expect during a microneedling treatment? 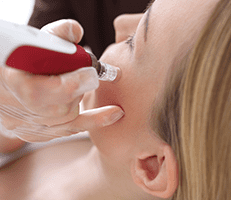 Microneedling treatments are relatively quick, usually taking 15-20 minutes. Your provider applies a topical numbing solution to your skin to ensure your comfort. Then, they guide the SkinPen device over your skin. Your provider may apply a serum to boost the effect of microneedling on your skin. Your skin will be glowing after your treatment, but any pinkness usually subsides within a few hours. You may notice an immediate enhancement to your complexion, and as your body makes new collagen over the next several weeks, your appearance will only continue to improve. How should I take care of my skin after microneedling? Dr. Ledbetter or your aesthetic specialist provides you with specific aftercare instructions, and they may recommend specific skin care products. In general, you should avoid wearing makeup for approximately 24 hours after your treatment. It’s also critical to always wear a broad-spectrum sunscreen. The UV rays in sunlight damage the elastin and collagen in your skin, which accelerates the appearance of wrinkles and fine lines. 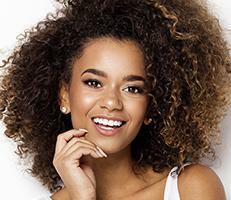 If you’re ready to take years off your appearance, call or schedule an appointment online today and discover how microneedling can help you look your best.